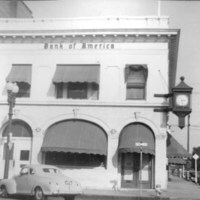 Bank of America on the southeast corner of Main Street and Mill Street in Porterville, California. 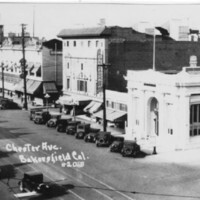 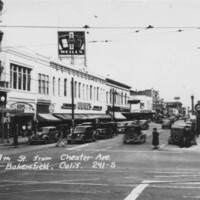 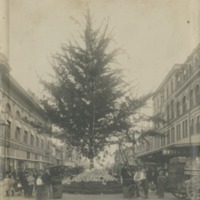 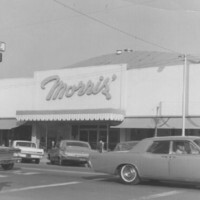 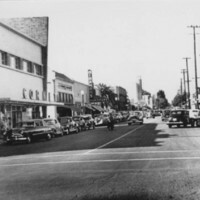 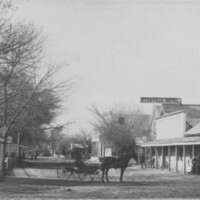 Photos of street scenes in Hanford ranging from old black/white and colored, cars and animals. 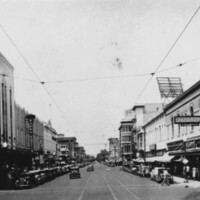 Fresno street scene looking eastly direction up Mariposa Street with the Fresno County Courthouse in the distance. 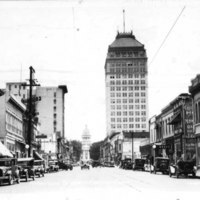 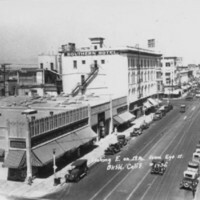 Prominent in the picture is the 15 floor Security Bank Building, constructed in 1923 at the corner of Mariposa and Fulton.